A 40-YEAR-OLD man who broke into the Lusaka Magistrates’ Court complex and stole phones, shoes and money has been jailed nine years with hard labour. Derrick Chipungu was charged with breaking into a building and committing a felony therein. Chipungu on January 25 this year broke into senior clerk’s office and stole two cell phones, two pairs of shoes and K16,026.00 but only K2,562 was recovered from him together with the phones and shoes. 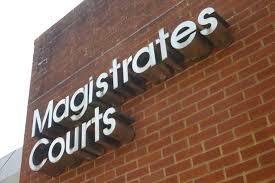 Lusaka principal resident magistrate David Simusamba convicted Chipungu upon his own admission of guilty. Chipungu also told the court that the facts read in court on how on the material day was caught and taken to Ridgeway Police post where he admitted the charge were true and correct. It was heard that Tom Njovu heard noise as he was doing normal check ups at the complex when he heard some noise. He went to report at Ridgeway and was accompanied by an officer who checked the offices, only to find that some locks to the senior clerk’s office were broken and there was money on the floor. When Njovu and the police looked around, they saw Chipungu hiding under the stairs and they apprehended him. Upon searching him, they found K2,562, two phones and two pairs of shoes. The duo took him to Ridgeway police where he admitted the charge. Magistrate Simusamba convicted Chipungu after he confirmed that the facts were true and correct. Chipungu in mitigation pleaded for mercy, explaining that he was married with three children. He told the court he was sick and on tuberculosis treatment. But magistrate Simusamba sentenced him to nine years with hard labour after considering his mitigation, the nature of the offence and circumstances in which he committed the offence. He said the sentences was with effect from January 25, 2019, the day he was arrested.